Put simply, mindfulness is “to pay attention, on purpose, to the present moment” (Grossman, 2016). The positive benefits of teaching mindfulness to children have been proven across a number of studies. Incorporating mindfulness into everyday classroom activity is becoming more and more common. A five or ten-minute daily mindfulness practice can see students reduce stress and anxiety, increase concentration and engagement, sleep better, improve social skills, and develop problem-solving and decision-making skills. Here are 18 quick and effective mindfulness activities you can do with your class. These activities are also available as a printable teaching resource, Mindfulness Activity Task Cards. download our free Mindfulness Information Sheet for Teachers. These activities are now available to download as printable Mindfulness Activity Task Cards. These are the first stop on your students’ journey to mindfulness. Their breath is the one thing that will always be with them. Explicitly teaching mindful breathing is providing students with a skill that will be with them for life, in every situation they will ever encounter. Is that not one of the most powerful lessons you can ever teach? Students can stand or sit for this activity. Ask students to put both hands on their belly. Students should close their eyes, or look down to their hands. Guide students in taking three slow deep breaths in and out to see if they can feel their hands being moved. You may like to count “1, 2, 3” for each breath in and “1, 2, 3” for each breath out, pausing slightly at the end of each exhale. Encourage students to think about how the breath feels, answering the following questions silently, in their mind. – What is moving your hands? Is it the air filling your lungs? – Can you feel the air moving in through your nose? – Can you feel it moving out through your nose? – Does the air feel a little colder on the way in and warmer on the way out? – Can you hear your breath? – What does it sound like? If you’d prefer not to wing it, download and print our Mindful Breathing Guided Meditation Script. Providing students with an object to focus on is a great way to encourage concentration during mindfulness lessons. 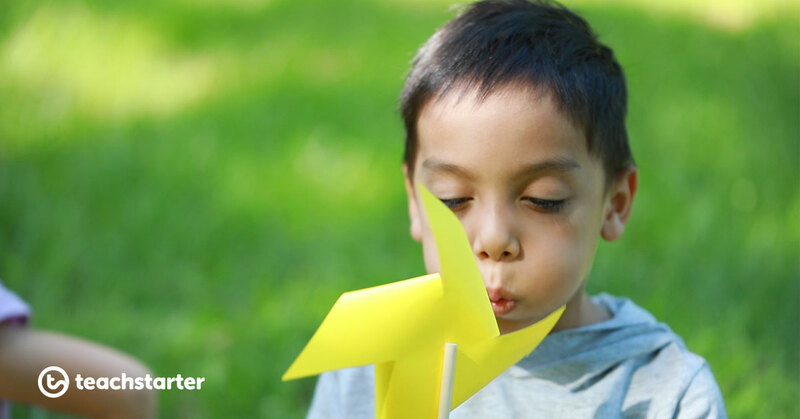 Use pinwheels in conjunction with the mindful breathing exercise above, making the pinwheel spin with every exhale. We have created a beautiful, free pinwheel template that combines mindfulness colouring with this simple craft activity. Ask students to bring in a small stuffed toy, or provide a class set of small, light-weight objects such as small bean bags or wooden blocks. Students lay on their backs and place the toy or object on top of their belly buttons. Take students through the guided breathing activity above, asking them to watch the object as it moves up and down with their breath. Coined by former Mindful Schools co-founder Laurie Gossman and Mr Musumeci’s Grade 5 class of the book “Master of Mindfulness: How to Be Your Own Superhero in Times of Stress” fame, the Shark Fin is a fantastic tool that you can use during any quick moment in your day. It will help to calm your class, or individual students, when their minds and bodies may be fighting against them. 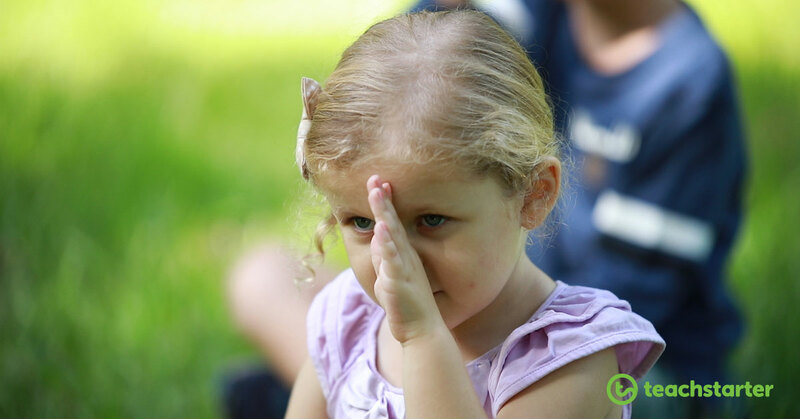 Place the side of your hand on your forehead, with your palm facing out to the side. Slide your hand down your face, in front of your nose. If you are sitting down, you do the 5 S’s while you move your hand: Sit up straight, sit still, sit silently, soft breathing, shut eyes. If you are standing do the same but you are standing straight, still, silently, using soft breathing and shut eyes while you move your hand down your face. This activity is similar to the first mindful breathing activity, however it uses visualising colours as a means to increase focus and awareness. You may like to download our printable Breathing Colours Guided Meditation Script. Ask students to think of a relaxing colour. It can be any colour they like, as long as it is one that makes them think of relaxation. Ask students to think of a colour that represents stress, sadness or anger. Whichever of those emotions is most relevant or suitable for your class group to explore. Students imagine breathing in the relaxing colour and visualise it filling their lungs. Students then imagine breathing out the stress, sadness or anger colour. Imagine you are surrounded by the relaxing colour. No longer is the air clear, it is the relaxing colour. You can still make out shapes, but your world is now a different colour. Imagine that as you breathe in, you breathe in this colour too. See the colour filling up your lungs. Imagine as you breathe out, that your breath is the colour of stress. See the stress colour mix into the relaxing colour around you. Watch the stress colour slowly disappear. Breath in your relaxing colour. Breath out the stress colour. Spread one hand out like a star. Use the index finger on your other hand to trace the outline of your star hand. Take a deep breath in as you move to the top of your thumb. Breathe out as you move down between your thumb and first finger. Take another breath in as you move to the top of your first finger. Breathe out as you move down between your first and second finger. Repeat until you have taken five slow, deep breaths. Students work in pairs for this partnered breathing activity. Sitting tall, with their back resting against their partner’s back, begin the mindful breathing from activity #1. Encourage students to notice their partner’s breath. – Is it shallow or deep? – Can they feel their partner’s back moving as they breathe? After a little while, students may find that their breath falls into sync with their partner. Or it may not! These are all talking points for bringing awareness to the breath, in the present moment. 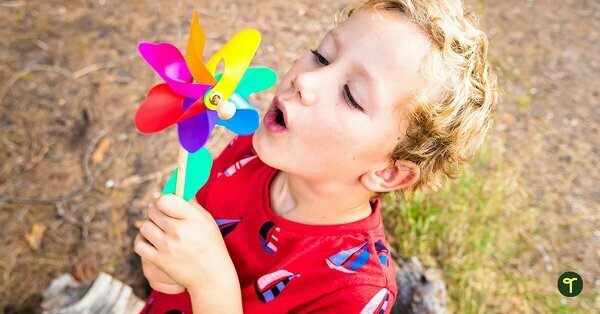 You could incorporate your Mindfulness Pinwheels into this activity too. This is a fantastic activity that students can “take home” with them. It can be particularly useful to do a body scan to help relax before sleep. Download our printable Body Scan Guided Meditation Script to use with your class. Students lay on the floor, with their eyes closed if they are comfortable (or they may prefer to look at the ceiling). Encourage students to pay attention to their feet for 5 or 10 seconds. – How does this body part feel? – Is it cold or warm? – Does it feel tight or relaxed? – Is all or part of that body part touching the floor? – What does that feel like? Move on to their toes, then ankles, then calves and knees. Continue body part by body part until you reach the head. Question how each part of the body feels to bring students’ awareness to their body in the moment. If there is tightness or stress, imagine breathing the stress out of that part of the body with each exhale. Mindful breathing is arguably the most important skill you can teach your students when it comes to mindfulness. However, being able to incorporate into everyday activities the calm and focused state of mind that the breathing activities practise can be viewed as a more tangible end-goal. The following ‘active’ practices help to hone the skill of mindful action. Some students who struggle with the ‘still’ mindfulness activities may be more likely to feel successful during active practices. This is a great activity to bring attention to how mindlessly we sometimes eat! Whether sitting in front of the tv, chatting to friends at lunch, or scrolling through something on the internet or social media, we often “switch off” when eating because it is such a familiar action. Mindful eating can combat over-eating, it helps bring our attention to the flavours and tastes of different foods and helps us to realise what effects different foods have on how our bodies feel. Students need something small to eat for this activity. Often a square of chocolate is a fun “challenge”, although you could provide a piece of fruit or any food item that you feel will work with your class. Be sure to take any allergies into consideration! Begin this practice with three deep breaths, or the Shark Fin activity (#4 above). Direct students to take small nibbles or bites of the food. Bring awareness to the sensations of eating. – What is the taste like? Is it sweet or savoury? – What does the food feel like on your tongue? – Do you need to crunch it between your teeth, or can you slowly dissolve it in your mouth? – Try taking a slightly smaller or slightly larger bite. – How does this change the way eating this food feels? – Notice which muscles in your mouth, neck and body move as you swallow the food. – Pause between each bite and notice any changing sensations in your mouth or body. 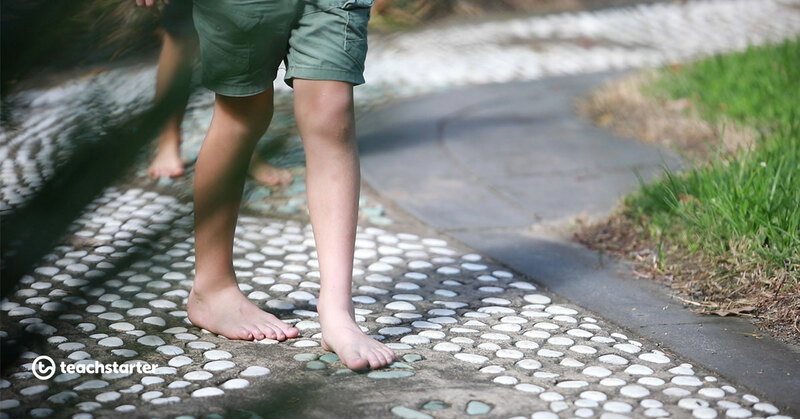 This activity is best completed outdoors and if suitable, students may like to walk barefoot. Give students a clear boundary for where they can walk during this activity. Each student selects a small area where they can walk in a line for about 5 or 6 steps and back then back to where they started without getting into another person’s way. Take 5 or 6 steps in one direction, turn slowly and then take 5 or 6 steps back to where you started. 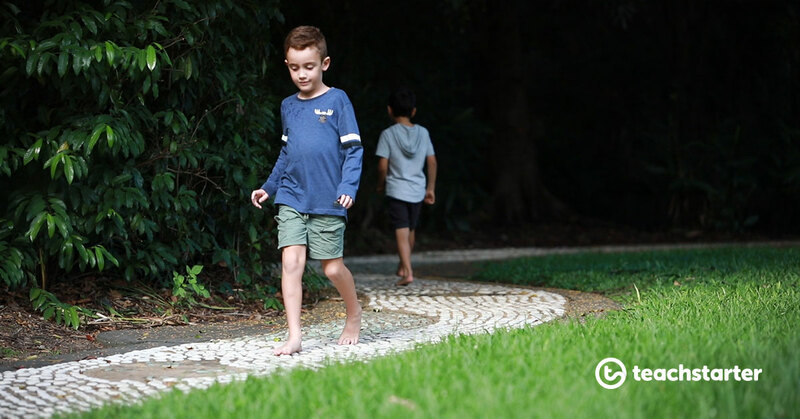 While walking, students bring their awareness to their breath and their body. – What does the ground feel like under your feet? – Which part of your foot touches the ground first when you take a step? – Does your body feel heavy or light today? – Are you slouching when you walk? – Or, is your back up quite straight? – Try not to change the way you walk, but instead just notice how your body naturally moves. For this mindfulness activity, you will need something that makes a bell sound. 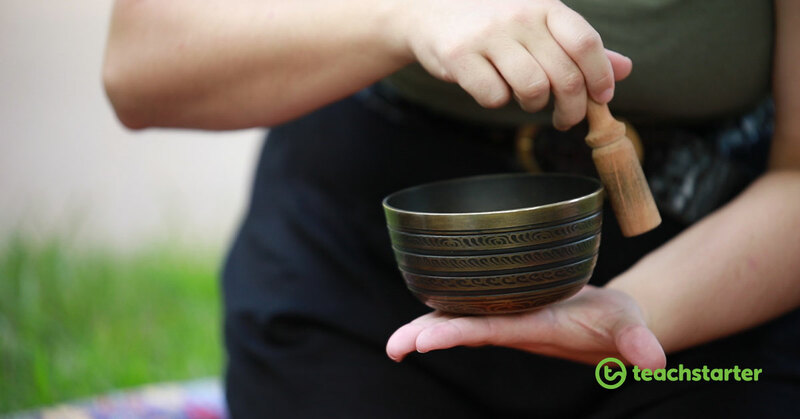 There are some great meditation apps that have recorded bell, meditation cymbal and singing bowl sounds, however, if you can have one of these small instruments in real life, the sound is much better! – When I ring the bell concentrate on the sound that you hear. – Pay attention to whether you hear it louder in one ear than you do in the other. – Keep your eyes closed until the sound is completely gone. – If you notice your thoughts wandering, just bring your attention back to the sound of the bell. – After you open your eyes, remain silent until you hear my voice again. Students close their eyes, while the teacher rings the bell. The activity is finished when the sound has completely dissipated. Karen Young from Hey Sigmund has a beautiful collection of mindfulness activities for kids on her blog. Spidey Senses is a fun way to frame this traditional mindfulness exercise. Our five senses poster and graphic organiser can be useful resources for teaching the senses to younger students. Ask students to switch their senses up to a superpower level, just like Spiderman. – What can they hear? – What can they see? – What can they taste? – What can they smell? – What can they feel? Guide students as they stay in this Spidey state for 2-3 minutes. Students use a notebook or a folder and paper to make a Gratitude Journal. Practise gratitude journaling at a regular time each day, perhaps first thing in the morning, after lunch or just before the end of the day. – Something that someone else did for you that day. – A person in your life that you appreciate. – An activity or hobby you are grateful to be able to do. – A positive quality of someone that can sometimes be hard to get along with. – A skill or ability you have. – A part of your body you are grateful for and why. – An item that you love. – Something that made you laugh. – What you have learnt from something that was hard. Use this familiar sensory bottle concept as a mean to explicitly teach how mindfulness can help to calm us when we are feeling stressed, anxious, sad or angry. Fill a bottle or jar with water, leaving 2-3 cm of space at the top. Add a generous amount of glitter glue to the bottle (or a combination of PVC glue and regular glitter). You may like to make one large bottle to use as an example for whole-class instruction, or a set of bottles that can be used by individuals or for small group rotations. 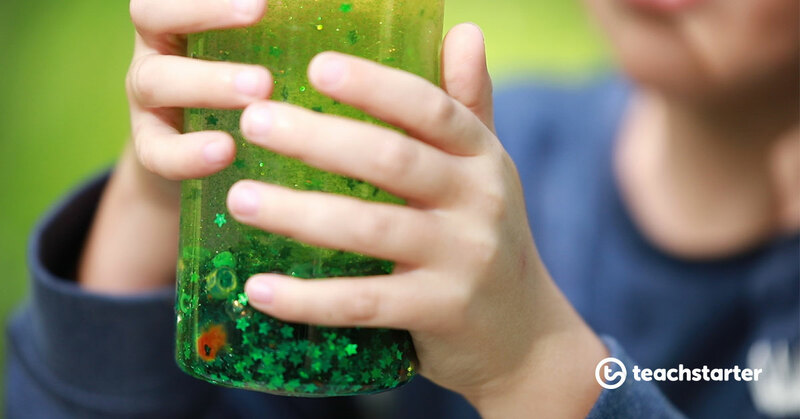 Shake the bottle well to mix the glitter, water and glue. “‘Imagine that the glitter is like your thoughts when you’re stressed, mad or upset. See how they whirl around and make it really hard to see clearly? That’s why it’s so easy to make silly decisions when you’re upset – because you’re not thinking clearly. Don’t worry this is normal and it happens in all of us (yep, grown-ups too). Another beautiful child-friendly reframing of a traditional mindfulness practice is to take your students on a Mindful Safari. Instruct students to remain quiet, calm their thoughts and move slowly while on safari. Ask students to turn their sense of sight, touch and sound onto high. Search for beautiful natural objects to explore. – What colour is it? – What does it smell like? – Can I touch it? – What does it feel like? Search for mini-beasts and other creatures that move. When they find a creature, encourage students to watch the creature in silence for as long as they would like to. – How does it move? – What colours can you see on its body? A great one for older students, this is an extension of the Spidey Senses activity that can be used to help calm a busy mind and bring our awareness to the present moment. Our heartbeat is an amazing representation of our emotions. Like our breath, it is always with us. So, we can use our heartbeat to connect with the present moment in times of difficulty or stress. You might like to begin this practice with three deep breaths, or the Shark Fin activity (#4 above). Students place their fingers or hands over the part of their body where they can best feel their pulse. 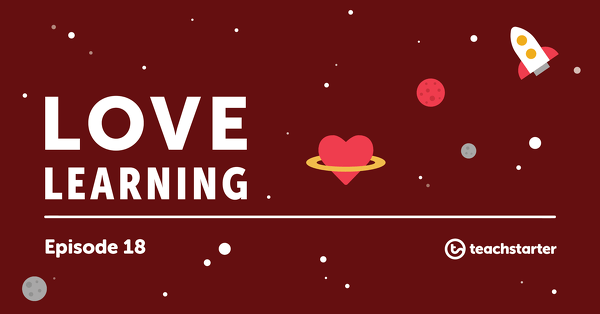 Ask students to close their eyes and notice how quickly or slowly their heart is beating. Encourage them to think about their current state of emotion and consider if this might be connected to how quickly or slowly their heart is beating. Direct students to stand and jump up and down on the spot ten times. Students return to sitting and feel their heartbeat again, noticing any changes. Students may like to close their eyes and focus on their heartbeat until it slows back down. Restless minds are magnetised by the sensation of touch: we can’t think and feel at the same time. The stroking and feeling itself (when using a prop to help children focus) becomes the meditation, in place of the breath awareness focus. 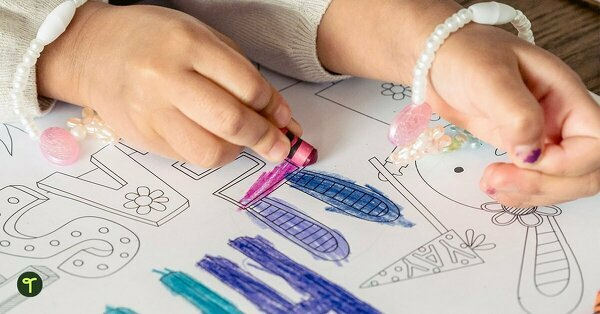 You might like to begin your class journey towards mindfulness with some of these more tactile activities. Provide students with a prop to hold, touch, balance or focus their eyes on during one of the above activities. There you go! 18 amazing activities to help teach mindfulness in your classroom. 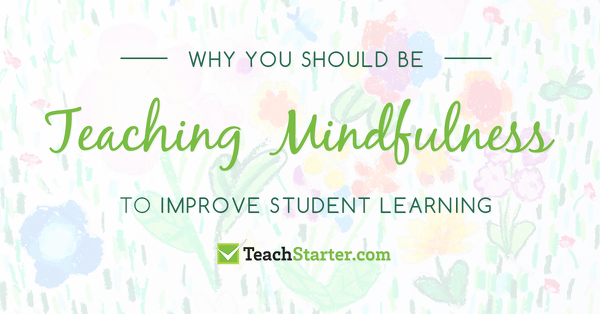 Mindfulness truly is a skill that will benefit your students as individuals, long after they leave your classroom for the final time. Check out our beautifully illustrated Mindfulness Activity Task Cards that you can use to support mindfulness practice with your students. Track your class’ progress to superhero status with these beautiful Mindfulness Activity Tracker Charts can be used to note each day of whole-class practice. Each download comes with a page of illustrated markers that can be stuck onto the chart. The black and white downloads of these trackers are also fantastic for students to use for their personal mindfulness practice. 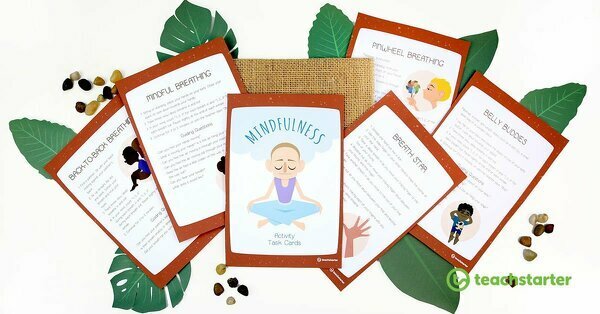 Here we’ve created a student mindfulness pack using the black and white versions of the 9 Week Mindfulness Activity Tracker along with the Mindfulness Activity Task Cards printed two pages per sheet to create a booklet. 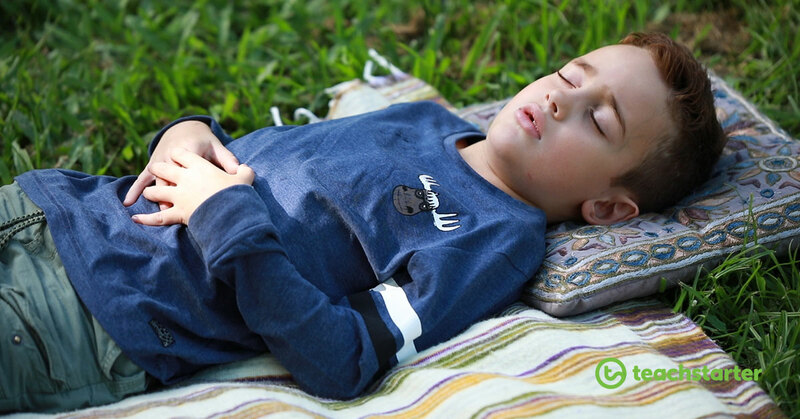 If you are new to mindfulness for children, take a look at our post “Why You Should Be Teaching Mindfulness to Improve Student Learning” for practical tips and tricks to begin your class mindfulness practice routine. You can also download our free Mindfulness Information Sheet for Teachers with eight succinct and actionable tips. These are great, and I will use lots of these ideas, but is there a way to save them as a PDF for future reference? I’m so glad you like these activity ideas! We are in the process of creating some printable mindfulness activity resources, so hopefully, they will be available for you soon. Until then, depending on the internet browser you are using, there are ways you can save this post as a PDF. In Google Chrome, click the three vertical dots in the top right corner and select ‘print’. Then in the where you would usually select the printer (“destination”) click ‘change’ and select ‘save as PDF’ (this should be listed under “local destinations”). Then click ‘save’ and this will open a new dialogue box that allows you to choose where you save the PDF. In Internet Explorer, click on the cog in the top right corner. Click ‘print’ and then ‘print…’. In the print dialogue box that opens, choose “Microsoft Print to PDF” as the ‘printer’ and then click ‘print’. This will open up a new dialogue box where you can choose where to save the PDF. I hope one of these works for you! 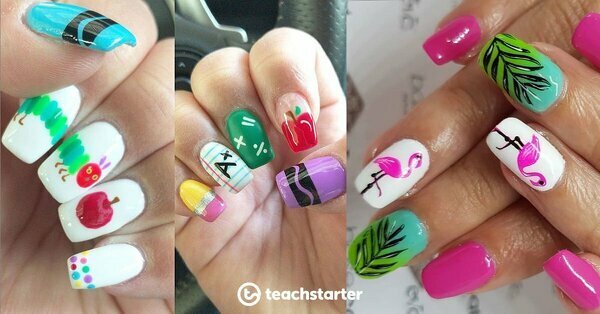 thanks for this wonderful blog full of fantastic ideas in order to put in practice with children, Thanks indeed!! You’re most welcome Maria! So glad that you have found Cassie’s ideas useful. Thanks for your lovely comment. Absolutely brilliant. I have done and completed a mindfulness course and I am going to use mostly all of these in my personal skills lesson. Great ideas/ activities. Thanks for your lovely comments. I am so glad you are finding our ideas and resources useful. Feel free to share this resource on social media if you find it amazing. If there is anything else I can assist you with, please don’t hesitate to contact me.